CiviCRM version 5.9.0 is now ready to download. The release notes for 5.9.0 can be accessed here. This is just a quick reminder that as announced in August the CiviCRM release on 2 Jan 2019 will be the last release supporting PHP 5.5. Last month I attended Sustain Summit 2018: an inspiring 'one-day event for open source sustainers' organised by Open Collective. 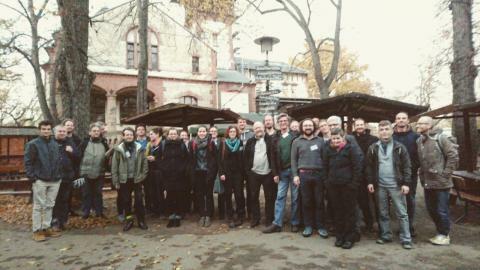 It was great to spend a day with people who are working hard to tackle the sustainability problem. Some focused on their own projects, others looking more broadly across the open source ecosystem. The sustainability conversation has moved on significantly since the last time I looked, in about 2013, and there are lots of new ideas and projects with the potential to impact how we work. Take your event management to the next level with this Cividesk on-line training session designed for current users of CiviCRM on Tuesday, December 11th at 10 am MT/ 11 am CT/ 12 pm ET. This course is an excellent follow-up to the Fundamentals of Event Management class taught by Cividesk. It's a nice day to... LEEEEExIIIIIIIM! CiviCRM version 5.8.0 is now ready to download. The release notes for 5.8.0 can be accessed here. I have just published the CiviCRM native extension Contact Specific API Defaults which allows you to specify specific defaults for API fields for a contact.